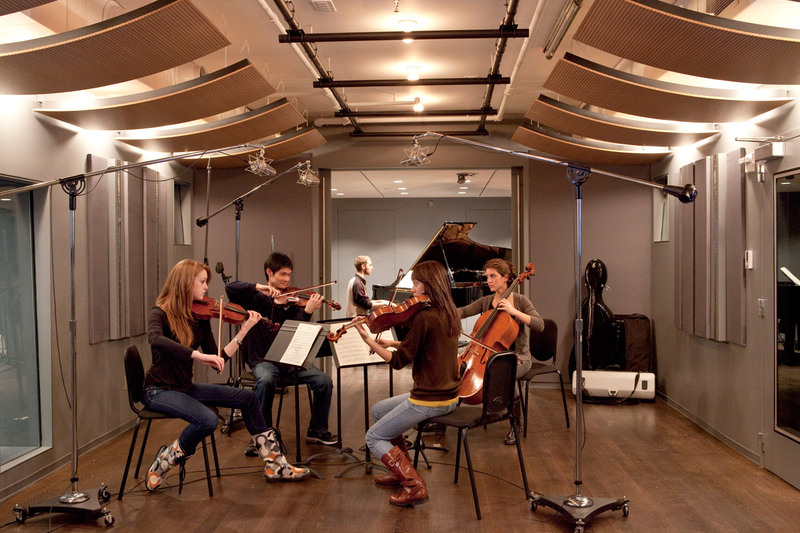 NYU’s Steinhardt School of Culture, Education and Human Development’s James L. Dolan Recording/Teaching complex at the Department of Music and Performing Arts Professions is one of the most technically advanced audio teaching facilities in the United States. It was created to provide students with an exemplary learning environment. The $6.8 million, 7500 sq. 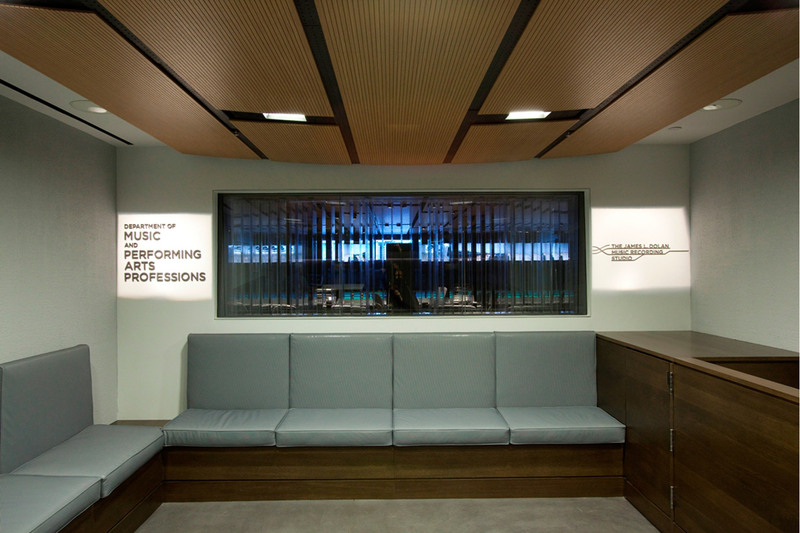 ft. compound is devoted to contemporary Music Technology: Theory, Cognition, Informatics, Computer Music, Recording, Production, and Immersive Audio. 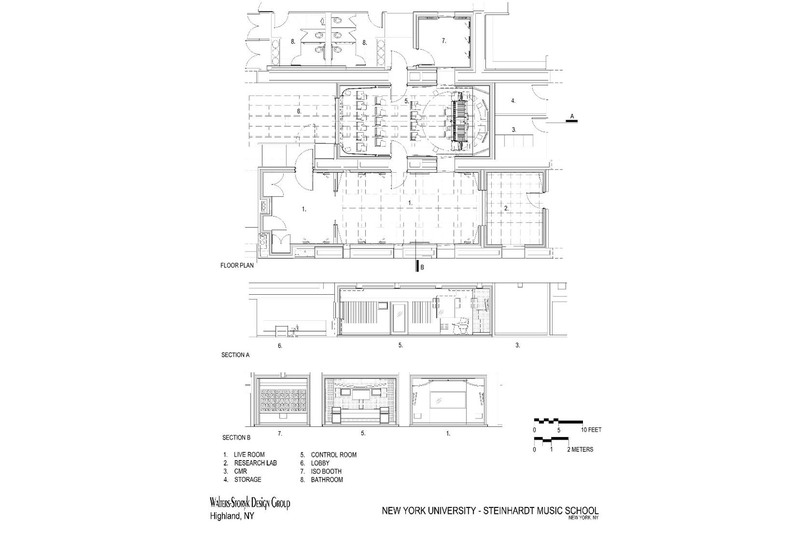 To create a teaching complex of this magnitude, a master team of architects, acousticians, and technologists was formed by an NYU Steinhardt School faculty team consisting of Dr. Robert Rowe, Tom Beyer , chief systems engineer/adjunct professor; program director, Dr. Kenneth Peacock and Dr. Agnieszka Roginska, associate director of music technology. 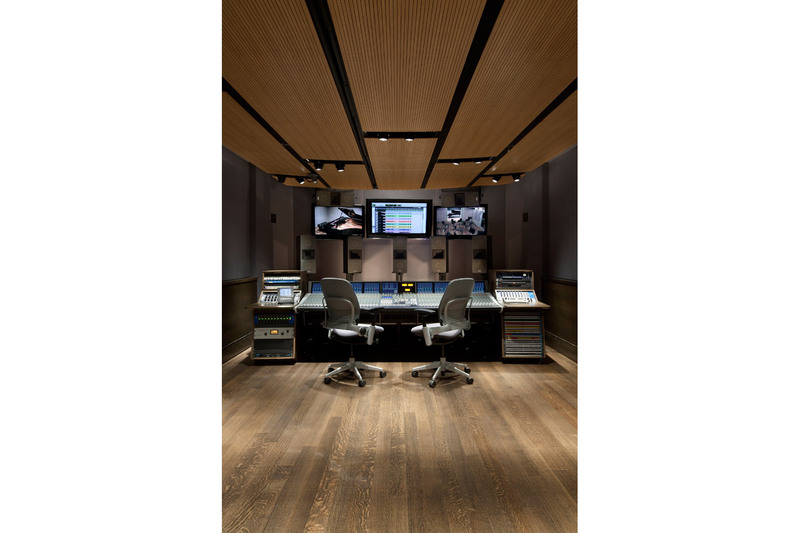 Gensler was the primary architectural firm, and the Walters Storyk Design Group came highly recommended for architectural and acoustical design. 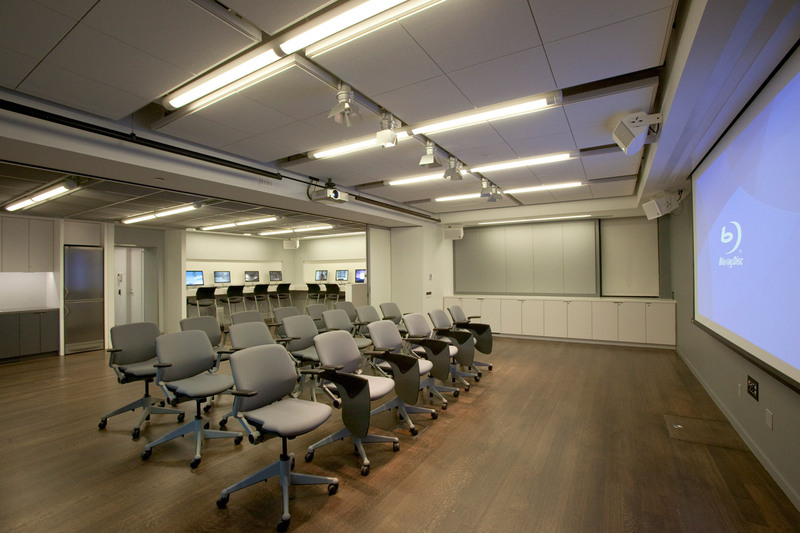 Describing their architectural program, Gensler principal and design director Keith Rosen comments, “The view into the Control Room through the Reception Area rear wall immediately establishes Steinhardt as an advanced teaching facility. The challenge was to fit an extremely dense program into a relatively tight space. 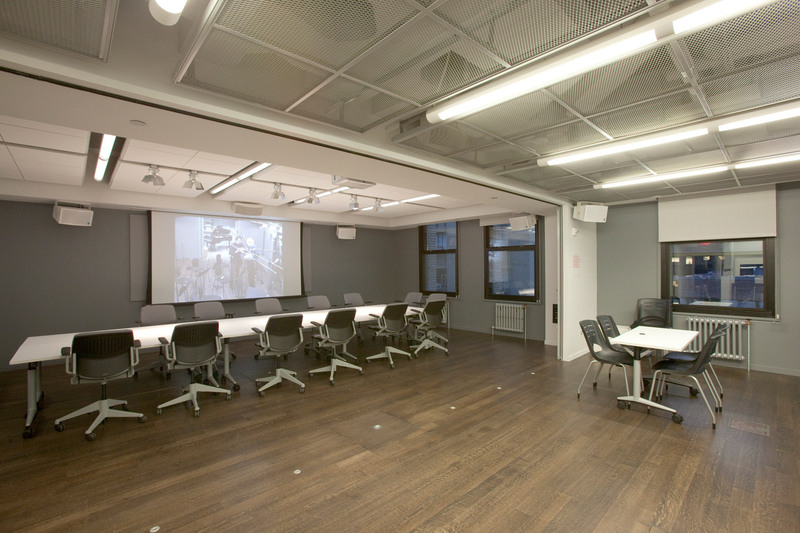 To maximize the flexibility of the larger multi-functional spaces, such as the conference/performance room and study/pantry areas, we developed various private and shared spaces along a single circulation loop. 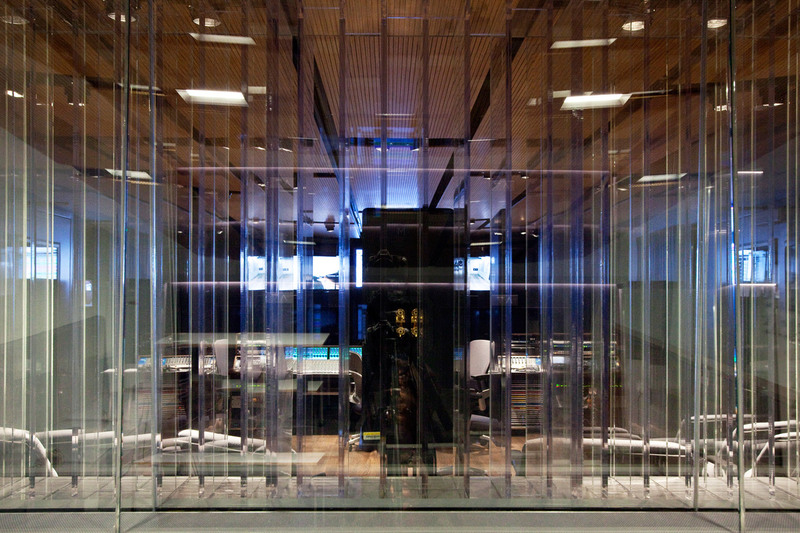 Glass interior walls and doors provide Students and Faculty with natural light, a great asset in a facility with interior studios. Raised floor construction will ease changes in program and technology. 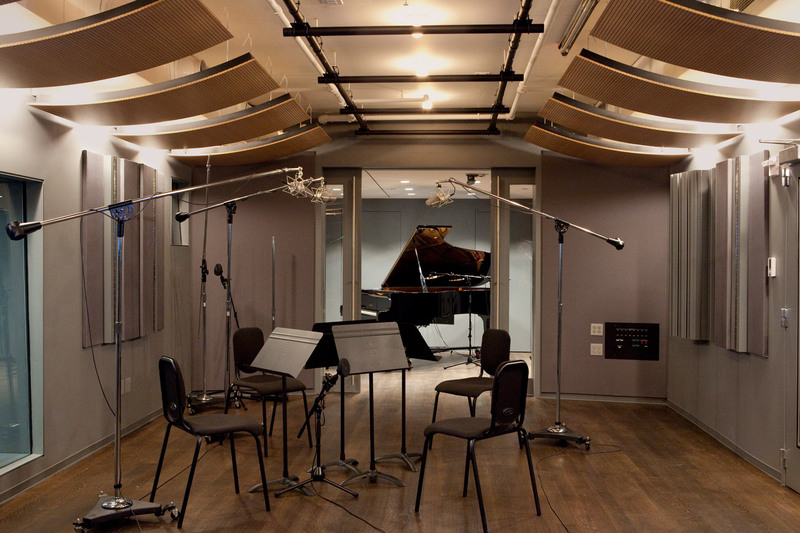 The existing steel trusses slicing through the space were embraced as organizing elements for the Control Room and other critical sound isolation areas. 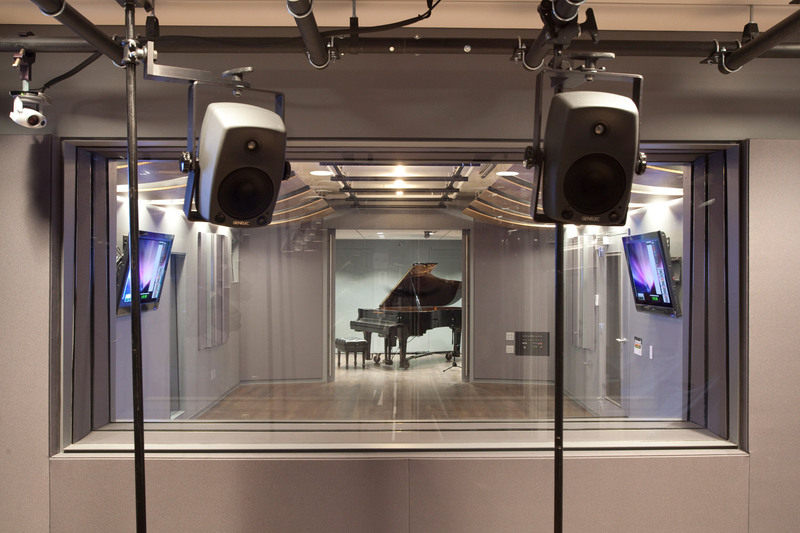 The punched windows provide visitors with views into the recording studios. The design constraints we encountered have been turned into powerful aesthetic and way-finding elements, ” Rosen concludes. Walters-Storyk Design Group associates: systems integrator, Judy Elliot-Brown; project manager, Joshua Morris; technology integrator, David Kotch and architect/acoustician, John Storyk worked closely with the Gensler design team: project principal, Joshua Katz; project managers, Alfonso D’ Onofrio and Kent Hikida; project designer, Kelly Combs; designer, Joshua Geisinger and design director, Keith Rosen to plan and execute the facility’s demanding recording studio and performance environments. 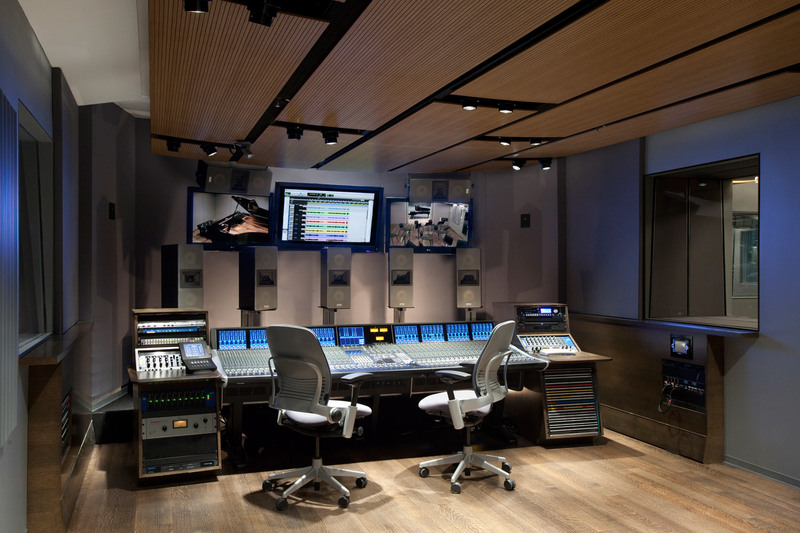 The complex is distinguished by a 25-seat control/class room which features a fully automated 48 channel SSL console and the first Dangerous Music 10.2 surround installation in NYC. 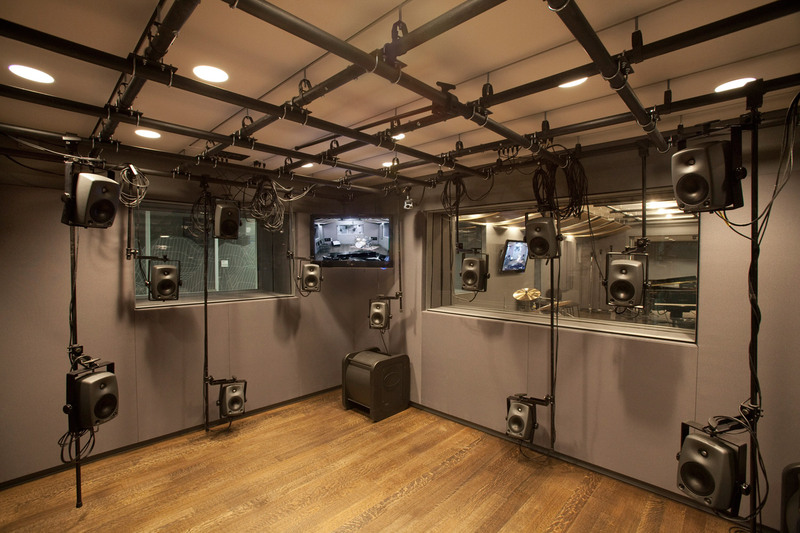 In addition to a live room large enough to accommodate a small orchestra; the floor includes several research laboratories, offices, a conference/seminar room and a large iso/drum booth. Multiple windows and a full line of sight provide natural light throughout. Read feature in Mix Magazine. Read article in eSchool News. Read about the Pro AV Award.